Simple & Quick - Stamped Cross Stitch Kit for Beginners! 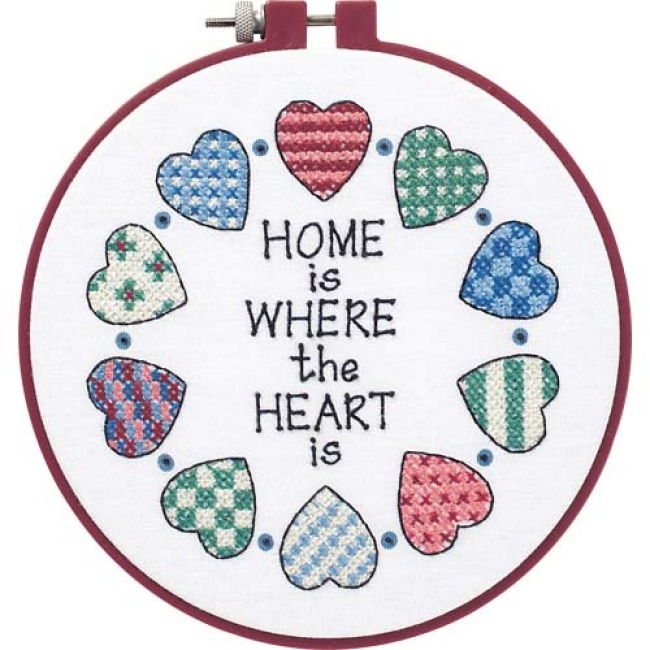 The Home and Heart Learn-A-Craft Kit from Dimensions is an easy Stamped Cross Stitch Kit for beginners. Kit contains presorted cotton embroidery thread, printed poly/cotton sailcloth fabric, 6" round plastic hoop, needle, and easy instructions. Includes everything a beginner needs to learn stamped cross stitch! Use the embroidery hoop included in the kit for stitching and then as a creative frame for finishing. The stamped cross stitch design is preprinted on the fabric for easy stitch placement.